Deadpool 2 pre-sale tickets go on sale this week and to make the announcement, a new teaser was released that was mostly put together will older footage, but it did have some new stuff crammed into it. One of the biggest takeaways is that Julian Dennison's character is given a name, which has led many fans to speculate that he's a classic Mutant character. Plus, from the recent footage, it looks like "the Kid" will have a larger part in Deadpool 2 than previously thought. 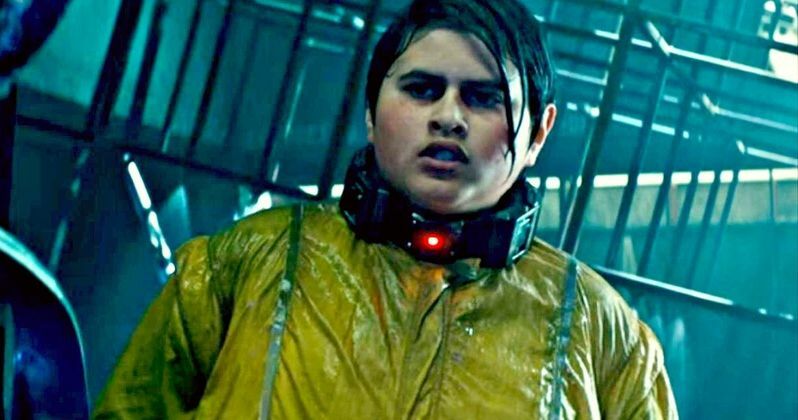 In the new teaser for Deadpool 2, Wade Wilson call Julian Dennison's character Russell. No other information is provided in the new footage, but it sent some fans on a detective mission to figure out who he is. If the sequel continues to pull its characters from the comics, it looks like Dennison is Russell Collins, aka Firefist, who is a mutant who can generate fire. The character is from the late 80s and early 90s of the Marvel comics and seems to fit into the timeline from where the rest of the characters have been taken from. Created by Bob Layton and Jackson Guice, Russell "Rusty" Collins first appeared in X-Factor number 1 in February of 1986. The character was raised by his uncle and joined the United States Navy at the young age of 16 and soon learned of his mutant abilities when he burned a woman to death and later the cops who arrest him. Collins bounced around from team to team, including the New Mutants, Acolytes, and the Mutant Liberation Front. From the footage shown off in the trailers and TV spots, it certainly looks like Julian Dennison is playing Firefist. Other than his abilities and name, Russell Collins doesn't seem to have much in common with his comic book counterpart. However, the changes aren't something that Deadpool 2 seems to be concerned with. While not much else is clear about the character, the bigger mystery is why Josh Brolin's Cable wants him dead and why the Merc with a Mouth is out to protect him. The good news is that the wait is almost over since the movie comes out soon. Deadpool 2 hits theaters on May 18th and pre-sale tickets go on sale this Thursday. While it isn't officially confirmed that Julian Dennison is playing Firefist, it certainly appears to be the case. There's still a lot about the sequel that isn't clear at this time. The new teaser apparently shows our first look at Jack Kesy's villainous Juggernaut as well, but it's the same with Dennison's character, nothing has been confirmed yet. But, putting all of the clues together, it certainly looks like Dennison is Firefist and Kesy is Juggernaut in Deadpool 2. You can check out the brand-new footage below, provided by the Deadpool Movie Twitter account.